MANSONVILLE, Que. 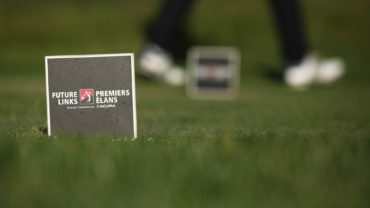 – Hailey McLaughlin emerged as leader in the Girls Division and Yuqi Liu captured the Boys Division at the Future Links, driven by Acura Fall Series Championship at Owl’s Head Golf Club on Sunday. McLaughlin, who started the third and final round with a one-stroke lead, carded a 3-over 75 to distance herself from runner-up Lory Paradis en route to grabbing a seven-stroke victory. The Markham, Ont., native made her mark in the second round—which was also her birthday—with a tournament-low 69 (a personal best), helping her confidence in the final round. 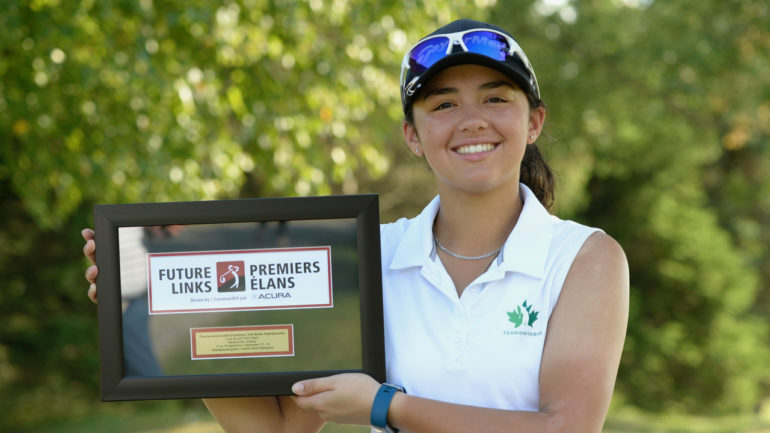 The 17-year-old’s final round was highlighted by an eagle on the par-5 12th hole, which helped her secure her first Future Links Championship—she finished T3 at the Ontario event earlier this year. Second place finisher Paradis of Blainville, Que., struggled with a 9-over-par 81, her worst round of the event. Rounding out the top three were a pair of golfers at 18 over par, Emily Romancew (Pierresfonds, Que.) and Élizabeth Labbé (Lévis, Que.). 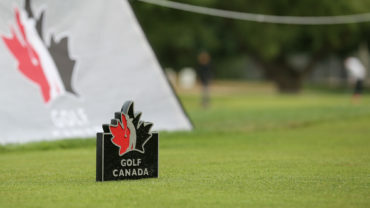 All earned exemptions into next year’s Canadian Junior Girls Championship from July 29 – Aug. 2, at Lethbridge Country Club in Lethbridge, Alta. In the Boys Division, Yuqi Liu of Thornhill, Ont., put the pedal down in the final round with a 4-under-par 68 giving him a three-stroke victory over Ashton McCulloch, who he shared second place with to start the day. Liu closed the 54-hole event at 8 under par (68-72-68). 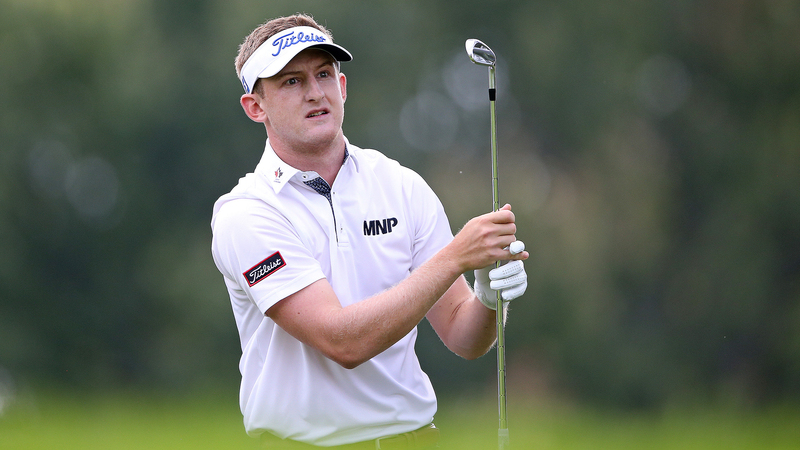 McCulloch, a Kingston, Ont., product, finished three back at 5 under par for the tournament (71-69-71) and earns one of three spots into the 2019 Canadian Junior Boys Championship from Aug. 11-15, at Covered Bridge Golf & Country Club in Hartland, N.B. They’ll be joined by Eric Byun of Richmond Hill, Ont., who rounded out the top three with a score of 4 under par (67-72-73). 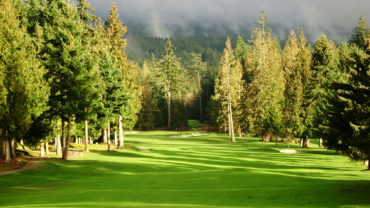 The second Fall Series event and final Future Links championship of the season will take place at Sunshine Coast Golf & Country Club in Roberts Creek, B.C., from Sept. 27-30. Results for previous 2018 Future Links, driven by Acura Championships can be found here: Pacific, Ontario, Western, Quebec, Prairie, Atlantic.